35 Comments	This post may contain affiliate links. This Paleo Whole30 Chicken Salad is easy, packed with fresh flavor, and so delicious! 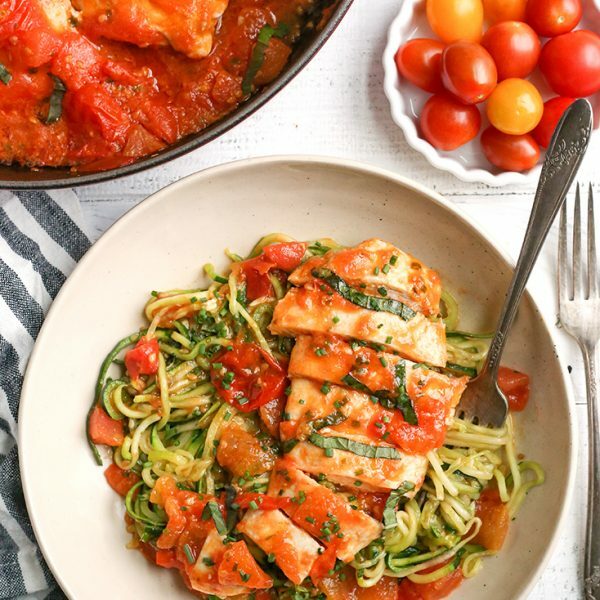 A great healthy no-cook meal for summer! The first time I remember having chicken salad was at my wedding shower. My husband’s aunt hosted and had so much delicious food, but chicken mixed with grapes and apples- this was new to me. I understand this is not an unusual combo, I just wasn’t exposed to a wide variety of foods growing up. I was a little hesitant to try, but wow, was it good! 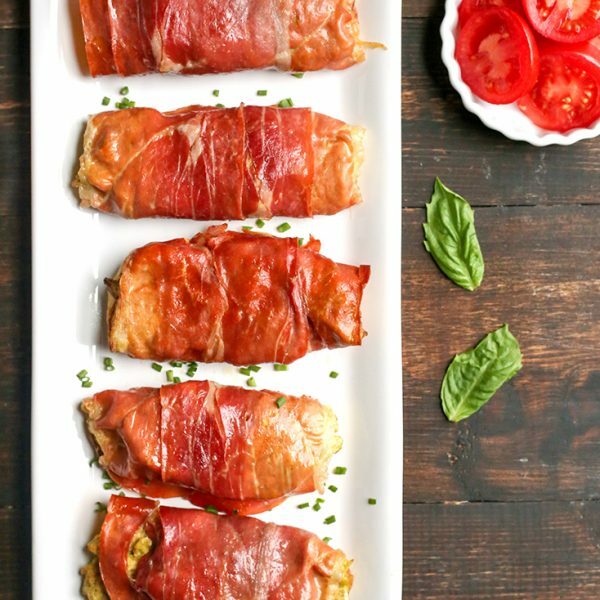 The sweetness from the fruit and the savory chicken and onion- it just works perfect. This recipe is based off that, but using my paleo mayo to keep it healthy. Also, I think there was nuts in that one and I’m not crazy about nuts in my food so I left them out. Feel free to add some if you’d like. It’s also not served on croissants which is pretty traditional, you can have it on lettuce or just straight from the bowl. It is so easy to make with just a little bit of cutting. I used chicken tenders that I baked for 35 minutes, but you could totally use a rotisserie chicken from the store making it totally no-cook and perfect for those warm summer days. It makes a decent amount which I love because it’s just as good, if not better, the next day. I use green onions because they are mild, but if you love onion then feel free to replace them with some diced red or sweet onion. 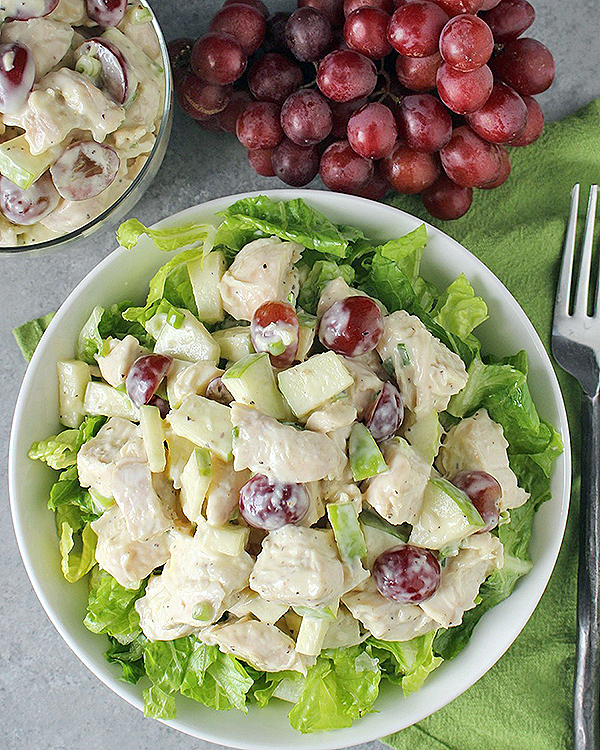 You will love this chicken salad because it is easy, tasty, and the perfect balance of flavors. The crunch from the fruit, the creaminess of the mayo, and the moist chicken. 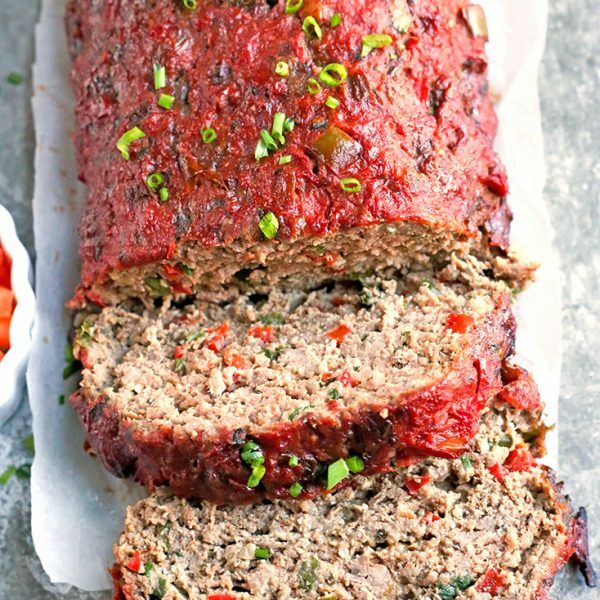 All the ingredients are Whole30 complaint as well making it extra awesome! Here is the homemade mayo I used for it- it’s super easy! 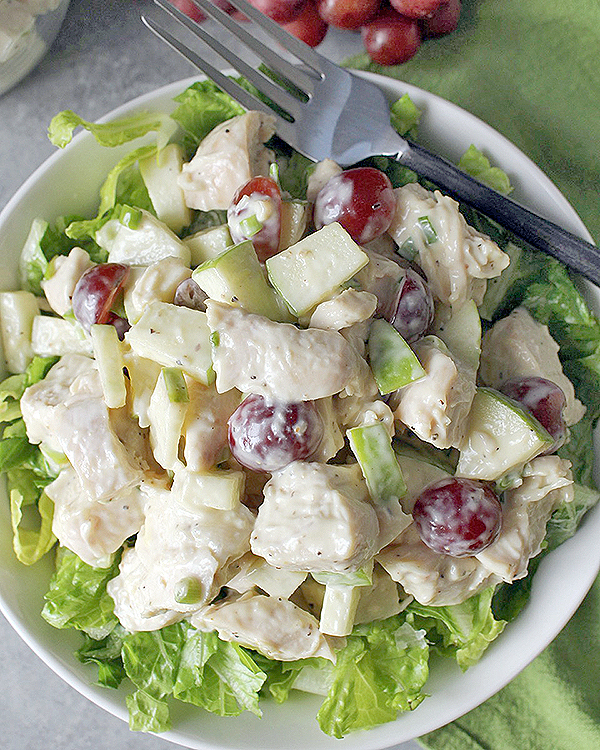 If you love this recipe then you will love my Whole30 Berry Chicken Salad recipe! 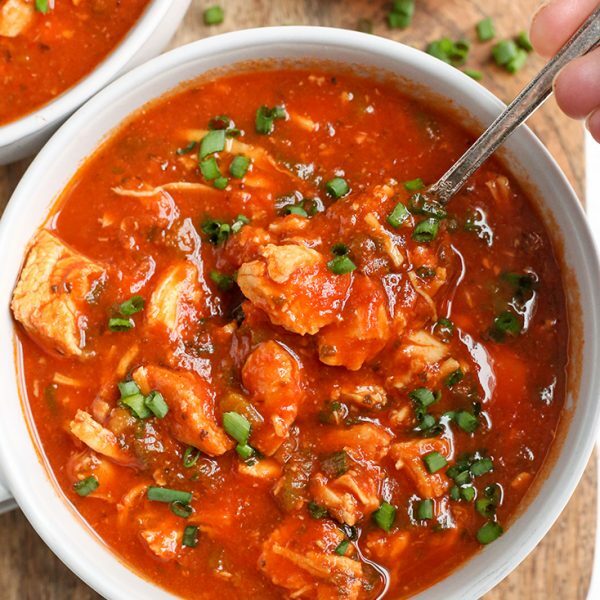 In a large bowl, stir all ingredients together. Start with 2/3 cup mayo and add more as needed. Every mayo is a little different. I used the full cup for mine. Stir until evenly mixed and store in fridge. Serve over lettuce or out of a bowl. I just love the combo of the chicken and the grapes and apples Jessica! Sounds wonderful. 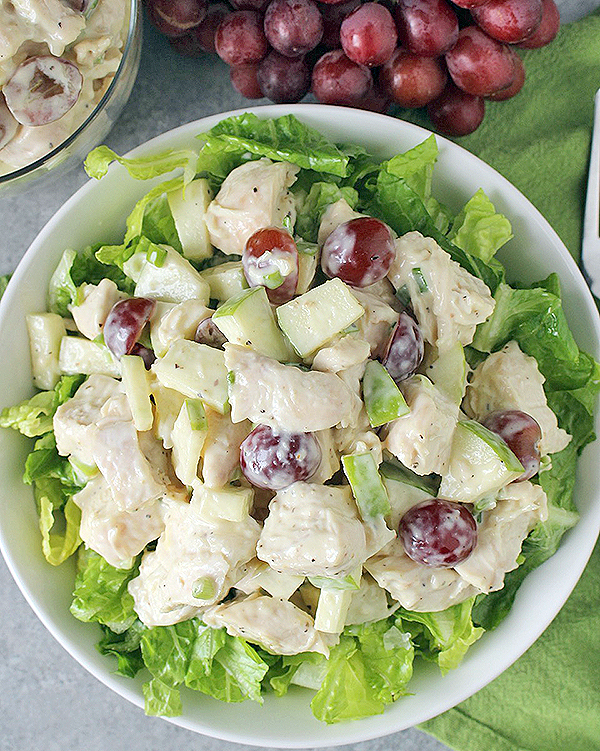 I’ve had chicken salad with grapes but not with apples, so I’ll need to try. Thanks, Mary Ann! I think you’ll love the addition of apple! Awesome! I hope you enjoy it, Sarah! 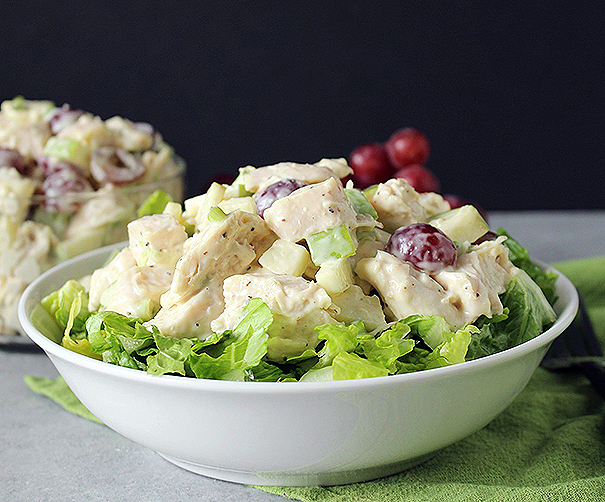 Love this chicken salad recipe! Fresh and sweet. Hi Abby- sorry, I forget to include that sometimes. It serves about 6. I hope you enjoy! Oh yeah- that’s what I do! It should last 6-7 days in the fridge.